From time to time users come through asking for downloads for various Windows OS downloads weather it be 7, 8.1 or 10, This is possible to do from Microsoft themselves using media creation tools. You can links below with instructions on how to create media. There is also a tool from Heidoc which makes downloading Windows 7, 8.1 or 10 & Office easier. It is safe and legal as it downloads straight from the Microsoft servers. You may also find this guide useful How to Download Windows 10, 7, 8, and 8.1 Install Media — Legally. 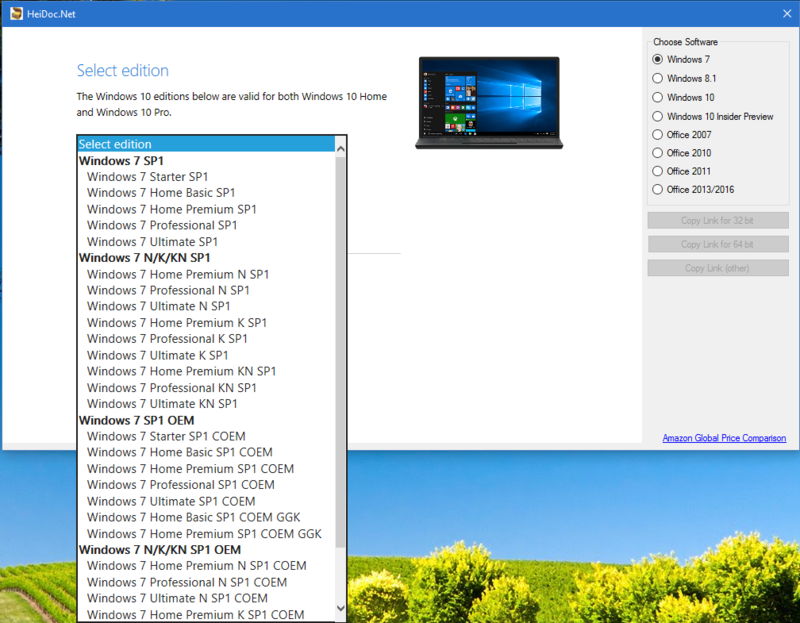 Are these ISOs still available since the free Windows 10 offer has finished? Also be aware that for the Windows 7 download you will need the RETAIL product number although it has worked for me using the product number off the Microsoft sticker. Either way you will need a product number of some sort for the Windows 7 ISO. Yes Pete you can still download all versions of Windows 7, 8.1 & 10. The programs uses some tweaks and works around the product key issue that a lot of users may encounter. Are these ISOs still available since the free Windows 10 offer has finished? I believe what MS sells is the product key, not the Windows files. I don't think that's a reason to remove the ISO's. I have been troubled with windows 10 updates. How can update it easily ? What do you mean? You can update it with Windows update. Not a lot of alternatives there. Also, as far as I know, Windows 10 won't force you to input a product key. Please, if you need help open a new thread. He asked about Windows 10, right?